Rounded bay windows present a design challenge in many historic Boston homes. A curved contemporary sofa is a comfortable problem solver. Chelsea Blanchard created a stylish solution for hiding unattractive baseboard heat. Wrapped in decorative molding, these baseboards blend seamlessly with the room’s architecture. Carefully placed air vents allow for proper heat circulation. Second Empire home with a mansard roof was restored under the direction of Chelsea Blanchard. Rope molding, a nod to nautical influences, can often be found on many coastal homes in Massachusetts. Blanchard saved the original marble mantle of this Boston home and replacing the original coal-burning fireplace with a gas burning one. The wall behind the fireplace conceals ductwork and mechanical systems. Underutilized space was given new life as a luxurious custom closet. The tall cabinet on the left hosts a jewelry cabinet built with locks for security. Historic architecture and contemporary design are not mutually exclusive. Here a contemporary bathroom was designed for aging in place. A salvaged piece of a demolished Boston building is given pride of place over a vintage fireplace. The lights are contemporary, but the style fits well with the restored home. The coal-burning fireplace was retrofitted with a petite gas stove for modern convenience. The newel post, railings, and balustrades of this staircase in a historic Boston home were painstakingly restored. Worn treads were completely replaced with lustrous walnut planks. Good design can transcend budget. The focal point of this seemingly high-end kitchen is Ikea cabinetry. Blanchard Design Studio designed this new mantle to fit in with the home’s original millwork. If you’ve lived in New England for any period of time, there’s a good chance you’ve had at least a passing thought about restoring an old home. It’s a scenario that’s hard to avoid when a browse through the local real estate listings is as likely to turn up a home from the 18th or 19th century as it is a new build. There’s also the romantic notion of bringing an old home back to life: done right, the results of a restoration can be incredible. If you’re thinking about purchasing and restoring an old home, it’s important to thoroughly research both the process and the professionals you hire to do the job. We tapped Chelsea Blanchard, owner of custom home restoration and design firm Blanchard Design Studio in Boston, to give us a rundown of what you can expect from this type of project, as well as her guidelines for doing it successfully. Historic home restoration is a specialized and intricate field, and just as you wouldn’t hire an electrician to work on your plumbing, you shouldn’t hire a generalist to restore an old home. Blanchard, for example, has a masters in Historic Preservation from Boston University, a masters of Architecture from the Boston Architectural College, and she has eighteen years of experience working on historic spaces, all qualifications she says are essential in helping her meticulously restore the historic homes she works on. “I start any project by documenting all of the important historic details. I take pieces of millwork to make sure that each type of trim is cataloged. I photograph everything, draw all the details, and arm myself with a library of all of the historic pieces of the house,” she explains. “Then we perform any necessary demolition to see what really have to work with. We can see where all of the original walls were, and uncover chimneys and fireplaces. It’s only at that point that we can figure out where we want to go with the design of the home. It’s a very careful and intricate process. You won’t always know what’s behind the walls. Frequently, even the most thorough home inspectors won’t be able to uncover an old home’s earliest layers, so you won’t always know what’s behind the walls until your renovation actually begins, says Blanchard. Sometimes, that can be to the homeowner’s benefit. Scraping away what Blanchard describes as “layers of inappropriate cabinetry, finishes, or siding” can often lead to original millwork, flooring, or even fireplaces that can be restored to their earlier glory. But the opposite can also occur. Historic and Modern aren’t Mutually Exclusive. One thing Blanchard emphasizes for those who might be on the fence about living in a house from the 1800s: your home doesn’t have to feel like a museum to preserve its historical significance. Most homeowners Blanchard works with, in fact, are looking to introduce a modern spin on their antique properties. “Often, the exterior of the home gets put back the way it should be to reflect its time period. Inside, certain areas, such as the main hall and living spaces will get more traditional treatments, but then the bathroom and kitchens call for a more clean streamlined and modern design,” she says. Blanchard also works with all of her clients to weigh practicality against preservation. “A lot of times—and this is a totally anti-preservation thing to do—these old houses have several large chimney masses” she explains. “The way in which we live now, you don’t need all of these for heating or cooking, and if you take away a chimney mass, you gain a lot of space. It’s absolutely tampering with the bones of the home, but it adds functionality and allows for more open spaces in a home There are “sacred” elements of a historic building like the stair rail or the ornate living room plaster crown and we will go to great lengths to keep these in-tact, but there are also elements that we can let go of. There aren’t any hard and fast rules to this balance but each building we work on has its own set of special historic elements and my job is to adjust each project scope for the ideal balance of preservation and practical living for my clients. 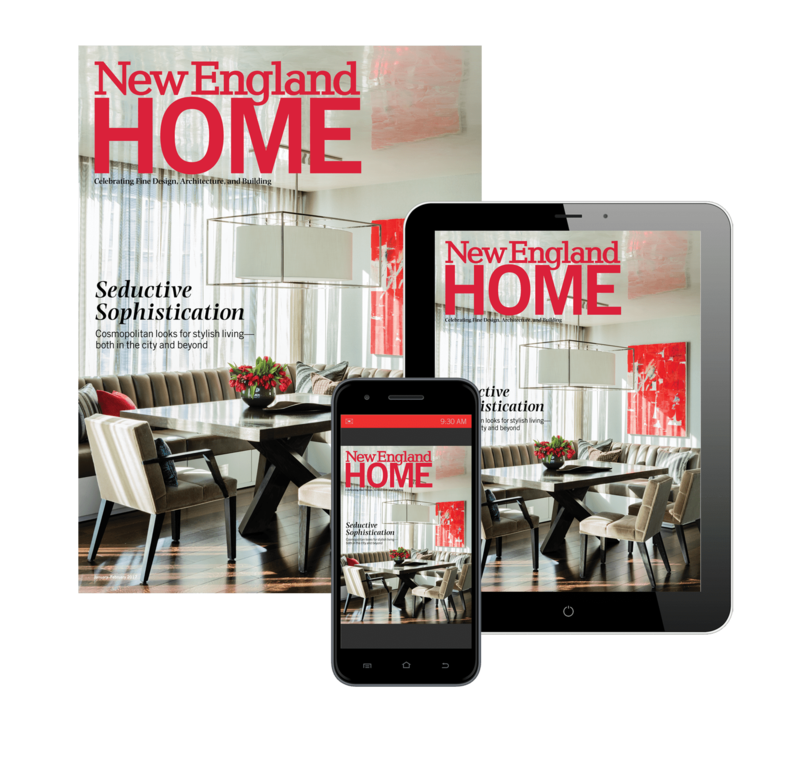 In general, “people in New England have a good sense of what needs to be preserved,” but they also have a realistic idea about living comfortably and improving the efficiency of their homes, Blanchard says. For more information about restoring an old home in the Boston area, visit Blanchard Design Studio’s website, here. 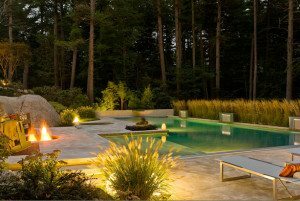 Blanchard Design Studio is a boutique design firm serving the New England area. Chelsea lives with her two young daughters in her own historic home in South Boston.